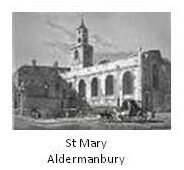 St Mary Aldermanbury, also known as St Mary the Virgin, Aldermanbury, was originally built in around 1181, and extended in 1438. 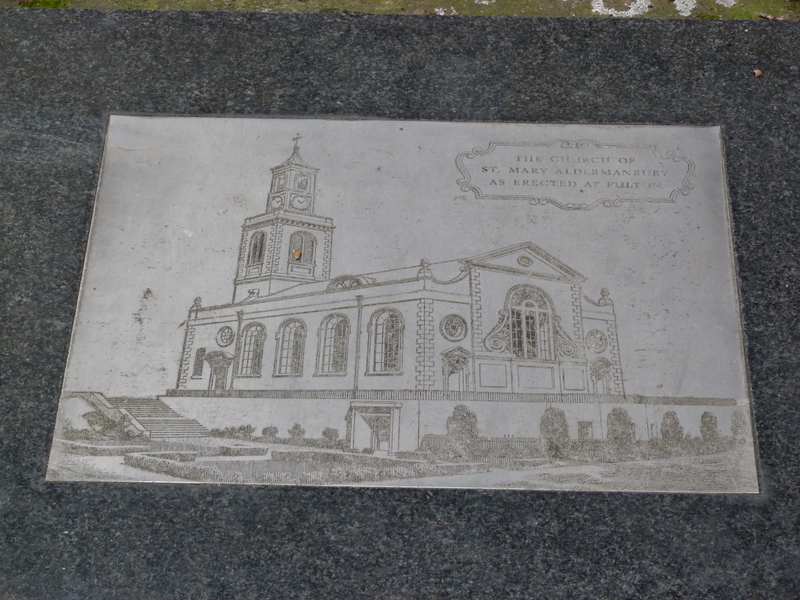 It was burnt down in the Great Fire of 1666, and rebuilt by Wren in 1671-5, and further modified in the late eighteenth and early nineteenth centuries, only to be substantially destroyed by incendiary bombing on 29th December, 1940, after which the parish was eventually merged with St Vedast-alias-Foster. 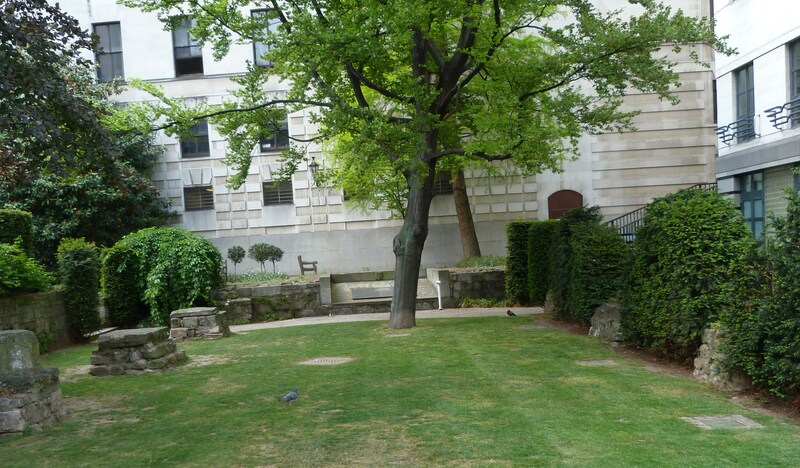 Only the foundations remain at the site today, together with a city garden created in 1966. Much of the building material salvaged from the church survives, in the remarkable recent reconstruction, true to Wren’s design, in the grounds of Westminster College in Fulton, Missouri (where Winston Churchill made his famous “iron curtain” speech). 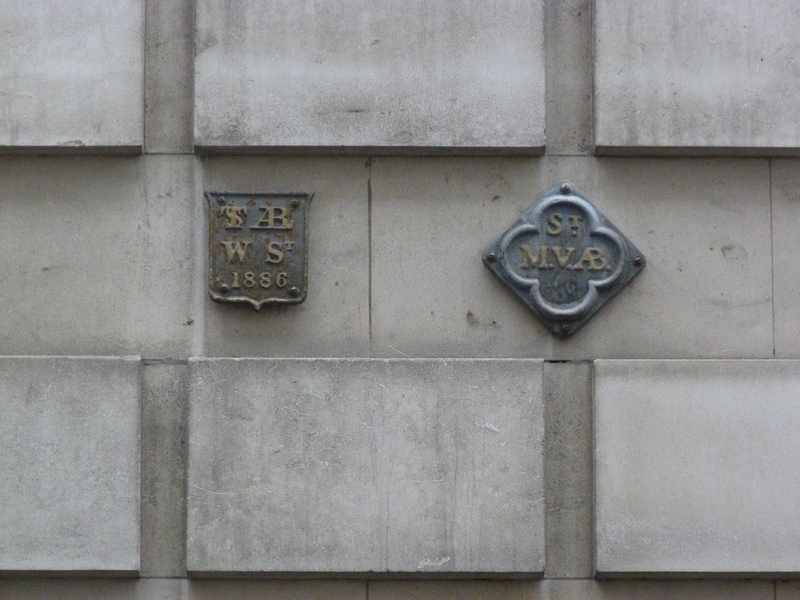 This entry was posted in Lost Wren churches on January 10, 2015 by Bob Jones - The Lost City of London. What Happened to the graves in the chancel. Were the bodies moved and to where? I read in Malcolm Johnson’s “Crypts of London” (History Press, 2013) that “the remains from below the church were taken to the City of London cemetery in 1965”. Thank you. – one of those people was Dr William Babington who has a statue in St Pauls Catheral. Another was Benjamin Fayle his friend and someone I am writing a book about.